The midnight sun is a unique natural phenomenon in the areas behind the Arctic Circle, when even during the night the sun does not set. This is the most romantic time in the Arctic and the best time for exploring the beauty of the northern austere nature. Transfer from Murmansk or Olenegorsk to Lovozero Settlement, which is the centre of Sami culture in the Kola Peninsula. 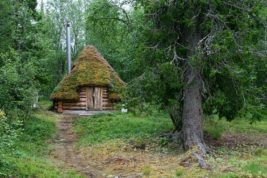 Upon arrival we visit the museum of local lore in Lovozero, where you will get acquainted with the history, everyday life and traditions of Sami people. Afterwards we will visit a workshop, where local people make souvenirs of reindeer skins, bone, and horns. Transfer by a speed boat to the guest house. Accommodation. Dinner. the most mystical place in the Russia's northwest. The Sami people considered the lake sacred, where it is permitted to go only upon necessity, in order to appeal to the Great Spirit for advice or protection. On one of the rocks you will see the image of a man about 70 m high. According to the legend a giant lived in the Lovozero tundra and the Sami asked their gods to help them fight the giant. The Sami gods hit the giant with lightnings and turned him into a rock. Near this rock we will have picnic. Return to the guest house. Dinner in a traditional hut covered with reindeer skins. Sauna. Today we head for the reindeer farm to get acquainted with the Sami traditions of reindeer breeding. After a selfie with reindeer and reindeer feeding we return to the tourist complex. Lunch. Free time to admire pristine nature of the Kola Peninsula. Breakfast. Today we go by boat to the Lovozero Tundra mountains. After reaching the hiking starting point we go to the Palga Lake, hidden between the Lovozero Mountains. Lunch on the way. Afterwards we to the top of the mountain (1000 m above sea level). From the top of the mountain we will enjoy a breathtaking view over the Lovozero Tundra. Return to the tourist complex. Dinner. Sauna. Breakfast. 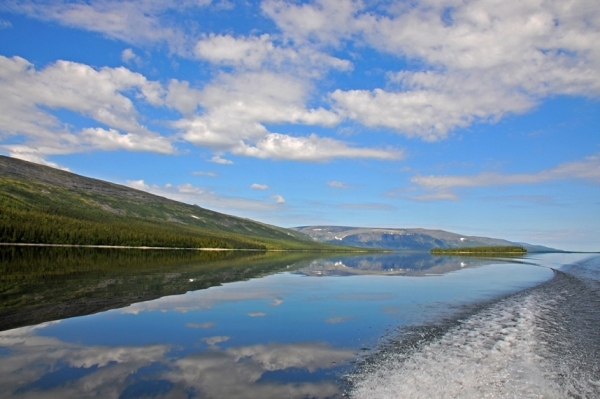 Transfer to Lovozero Settlement by boat and then to Murmansk by car/ minibus. 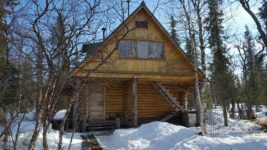 The tourist complex is located in the picturesque area of the Lovozero Tundra far from big cities and settlements on the shore of the Lovozero Lake. 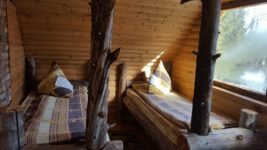 Accommodation is provided in wooden houses with simple facilities. 2 heated restrooms are situated outside of the houses. Russian sauna is heated every day.